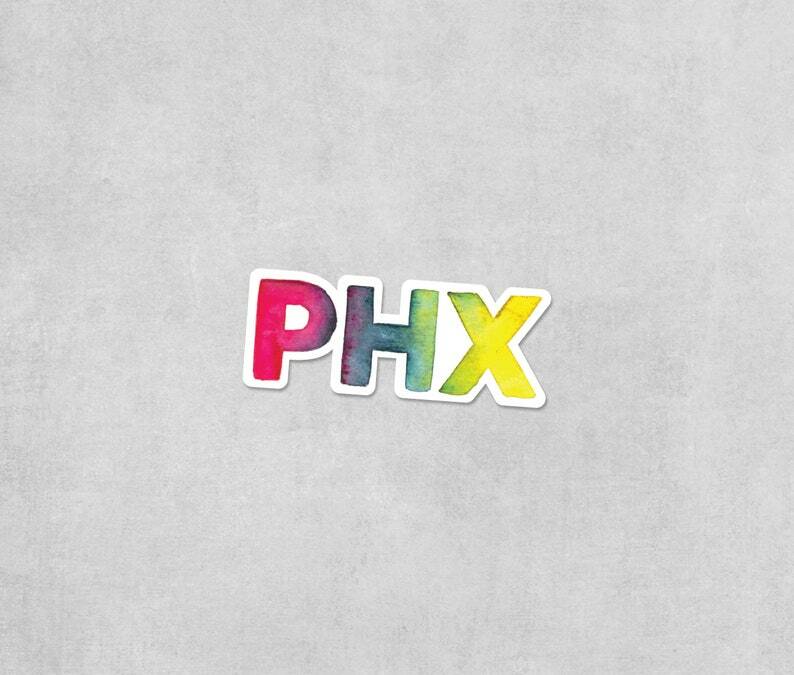 Stick this PHX sticker anywhere you want to add a little taste of the valley! The vibrant rainbow sticker measures approximately 1" high by 3" wide, and is printed on heavy-duty, waterproof vinyl with a matte finish. Plus, sticker orders always ship free! Love Melissa's art and design work! I’m OBSESSED with this print! It is PERFECT and I love how easy it was to order a custom-order and get it so quickly! Absolutely worth it! <3 Melissa and her beautiful design. Beautiful artwork and easy process! We are not currently accepting custom orders at this time. Please check back in the future! We are always looking for new retailers who are interested in selling our art and paper goods. Please send a convo to request our wholesale linesheet. We ship orders every Saturday via First Class mail. Cut off time for order shipping is Friday at 5pm PST. My shop is not currently set up to accept orders from overseas, but I am willing to do on a case-by-case basis. Please message me directly if you'd like to place an order to ship overseas.